QuiBidder Shirley used to live in New England, which basically means she knows a thing or two about seafood. 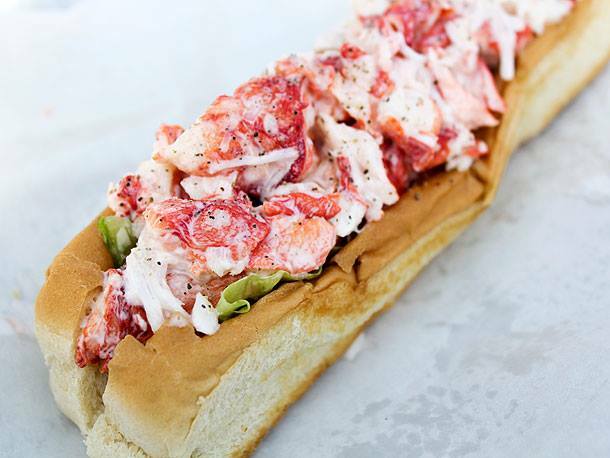 She recently shared that she used the lobster she won on QuiBids to make some killer lobster rolls. We asked her for the recipe, and she kindly agreed to let us share it with other QuiBidders here on our blog. Below is the recipe. Feel free to make your own variation. If you want don’t want to go through the trouble of making it yourself, you can always get a Maine Lobster Rolls Kit from QuiBids. Thoroughly go through lobster meat to make sure all cartilage is removed and mix meat with finely chopped celery and onion, Hellman’s Mayo, and add salt and pepper to taste. Lightly toast TOP SPLIT hot dog rolls (in the south, you can purchase Pepperidge Farm Brand) on either side and put a piece of lettuce on the bottom hot dog bun to keep lobster salad mix from making bun mushy. Fill with lobster salad mixture and enjoy! Have you tried this recipe? Leave a comment and let us know how it was! Send us your recipes via a private FB message and they could be featured in an upcoming blog post!